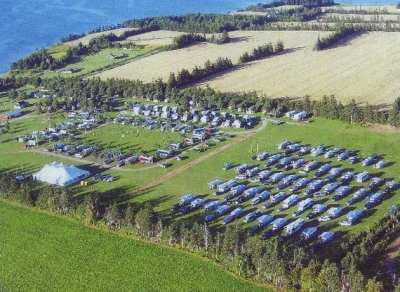 Bayside RV Campground is centrally located in Beautiful Green Gables Shore on Rustico Bay, just off route #6 in Oyster Bed Bridge. 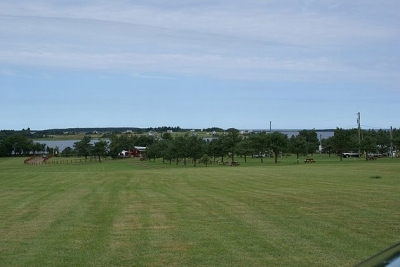 We are 15 minutes from all the attractions in Charlottetown and Cavendish. 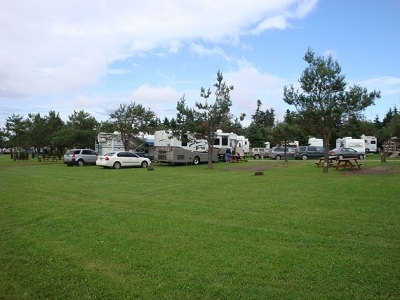 This makes Bayside RV Campground a great location to make home base while travelling the island. Within a short drive you can enjoy a walk on Brackley Beach in the National Park, have a delicious Lobster Supper, go Deep Sea Fishing or enjoy auto racing (Saturday nights only). 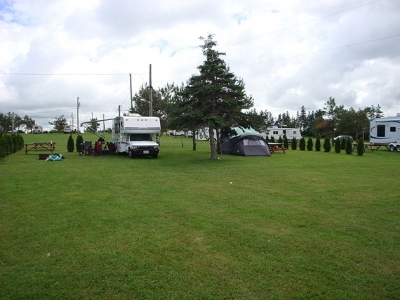 RV Sites - We have pull-through sites which are large and grass covered with a level pad for parking. Each site offers 30 amp, water and sewer. We also offer sites with 15amp, and water. These sites are also large and grass covered and close to all amenities. 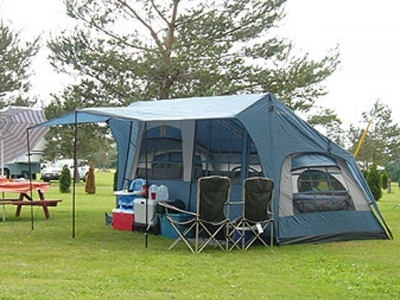 Tenting Sites - Our tenting sites are un-serviced and offer a community dining shelter with free use of a gas stove, propane BBQ and running water. This section is radio free after 8pm. (all radios off). 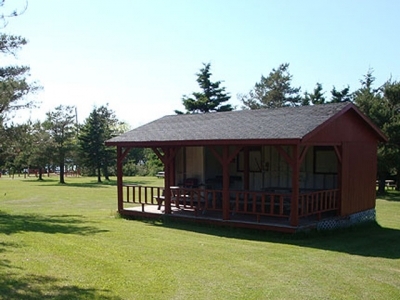 All of our sites offer a picnic table and fire ring. Seasonal Sites - We have 60 seasonal sites as well. These are full service sites, 30' wide. They have plenty of room for a deck, picnic table, firepit, hammock... all the amenities of RV summer living. For 2009, all of these spots are taken, but we have a waiting list, so if you are interested, email us and we can put you on that list. Our services include a Camp Store which carries light groceries, ice cream, ice and of course wood. We have HS Wireless Internet available from the comfort of your trailer or motor home. Swim in our heated pool or just relax in the lounge chairs on the large deck. The pool is open from 9am to 8pm and offers an adult swim from 7pm to 8pm. Our Club House has free VHS video loans, pool, air hockey, foosball for the kids (and adults alike!) for entertainment. We also have satellite TV for viewing and a book exchange. 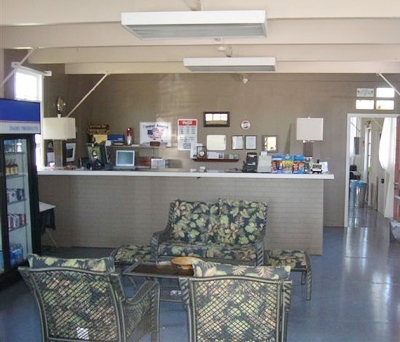 Our laundromat is open 24 hours a day and the washrooms are always sparkling clean. We also have a new children’s playground. We also offer monthly events such as Dances, BBQ’s and something to keep the kids busy, and the favorite of all, Saturday night bingo with Leonard! 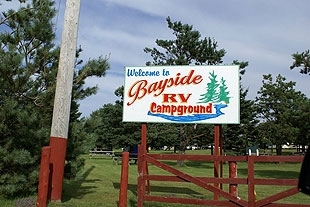 Whether you want to see everything in PEI or want to curl up with a good book poolside, Bayside RV Campground is your central destination in PEI!